Roblade: Design & Fight – Games for Android 2018 – Free download. 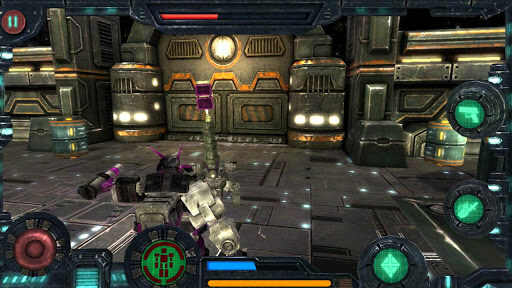 Roblade: Design & Fight – Deadly fighting robots. 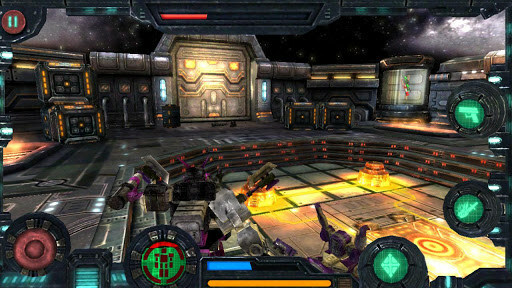 Roblade: Design & Fight - it's a fascinating and very controversial game, mixing a several genres. 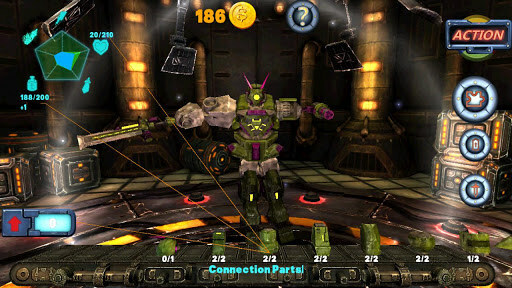 First of all, this is a very nice shooter with elements of slashers and fighting, in the second case, it is a rich designer who creates a robot which looks only limited by your imagination. The first thing to say when you first start the game that it incomprehensible. From the beginning, the player hung so many possibilities and elements that just begins to lose everything. Control of the game is very unusual and not typical for this genre. The movement of the robot by using the left stick, but the choice of the angle of view is already using the accelerometer. 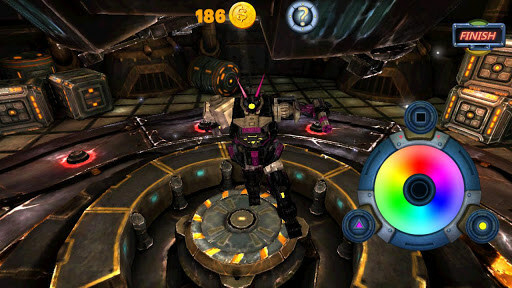 In this set is so sensitive that even if the device is rejected by one centimeter, in the game we perform a full turn. 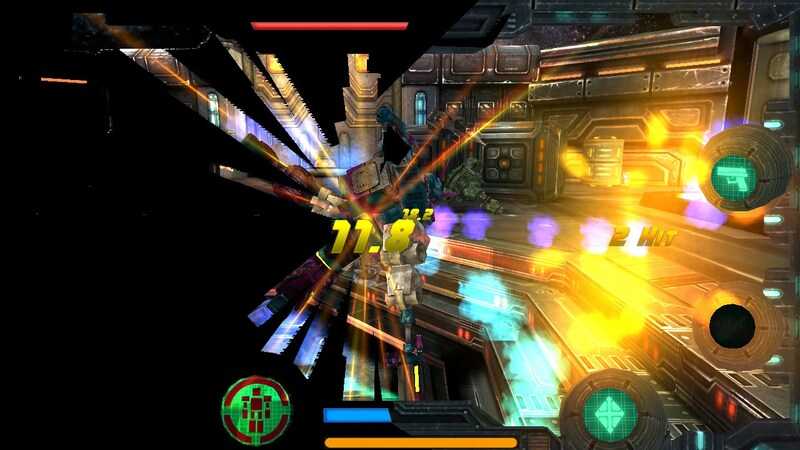 At the bottom of the screen are our indicators, quality of life and energy, and the amount of damage. On the right there are several buttons for skills. The attack in the game is through gestures, from your gesture affects how and what will be impacted by the enemy. Fights look so colorful that it begins to seem that the fight scenes are only fictional, but it is not. Another pleasant surprise is waiting for the player when it will begin to introduce the inner designer. If usually in the games we give change a maximum of 2-3 items, then we can change absolutely any part of the robot. In addition, we are creating for the robot arms, form a blow, its direction and strength. All parameters have a physical justification, resulting in the ratio of different parameters (strength, agility, speed, gravity), which can be seen in the upper left corner. All movements and parameters are based on physics. The disadvantages include the games of the general confusion, which could put many players in a blind alley. If you are waiting for an easy game, with a clear structure of the passage, there is no such. Summary. 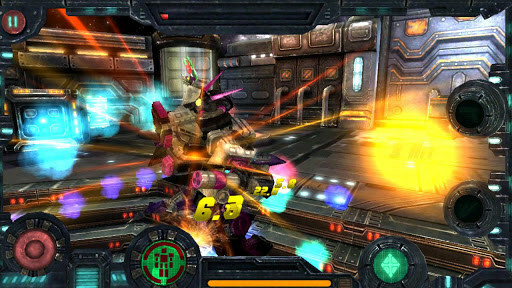 Roblade: Design & Fight - it is a beautiful and deep game about fighting robots that risks remain undetected due to Negligence of the developers. We still recommend you watch this game and try to understand it, the more that you can download it for free.